We are equipped to install silt fence using the slicing or trenching method to meet the jobsite conditions. 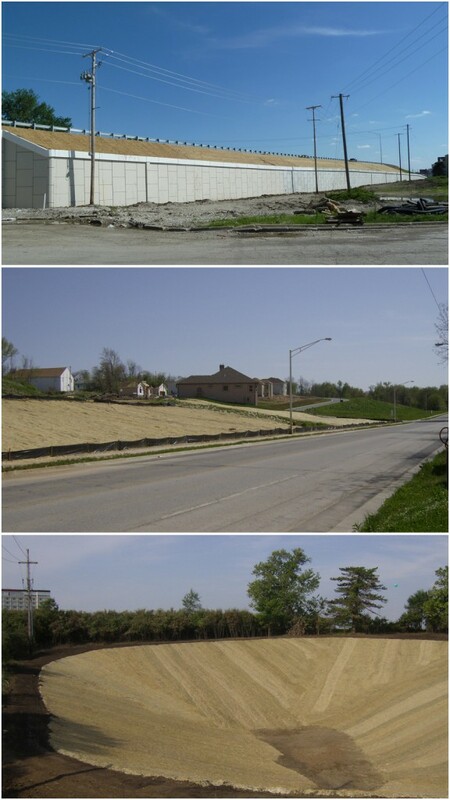 We are the experts you need to meet KDOT and MoDOT specifications along with all municipalities in the KC Metro area. 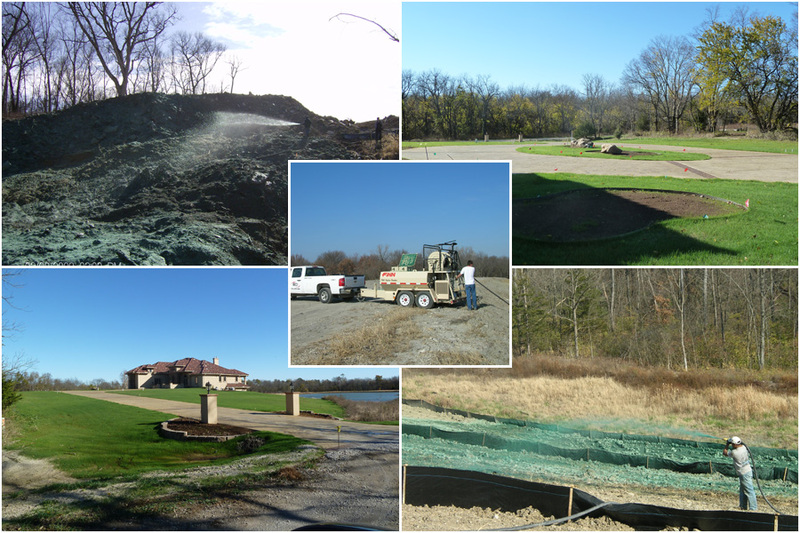 Hydroseeding is a cost effective way for site stabilization. We have provided stabilization with hydroseeding from temporary bank stabilization to permanent vegetation to estate lawns. 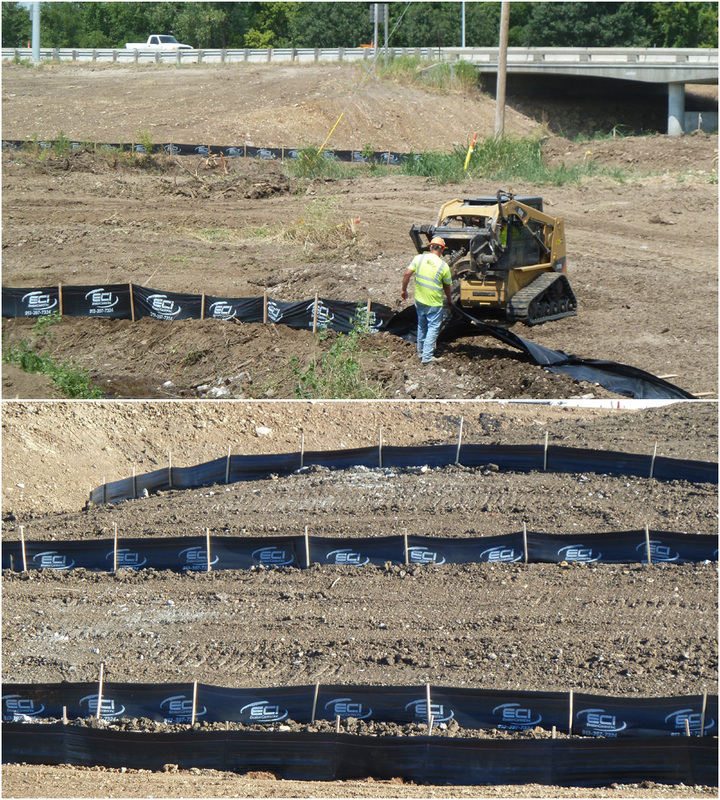 Erosion control blankets come in numerous types to handle varying degrees to meet the needs of slope and drainage channel stabilization. We have great success using the Epro system (http://www.eproserv.com/) for dampproofing and waterproofing foundations. These products provide a completely seamless coating with exceptional bonding. Ecodamp is a polymerized flexible dampproofing product to remain sealed with minor cracking. Ecobase is an extremely flexible waterproof membrane outperforming other competitors. Both products can be used in conjunction with Ecodrain-E drainage board to aid in de-watering saturated soil by collecting and conveying groundwater to the drain tile for discharge while protecting the membrane applied to the foundation. Drainage systems are effective in conveying water issues to a suitable drainage area. Typical drainage issues include burying downspouts, relieving water pressure behind retaining walls, and conveying standing water. We are equipped to install drainage systems using 3” to 12” diameter drains. Our crews carefully remove existing sod and ensure proper drainage has been achieved prior to relaying the cut sod over the new drainage system. ECI takes great pride to re-establish the area looking as though we were never there! We provide pumps from builder grade sump pumps to battery backup systems. © 2011 Erosion Control | All rights reserved.